Are you a huge fan of Disney and the Disney Channel show “I Didn’t Do It“? If so, here is a chance to get cast in the audience and be in on the taping live and in person. The Disney Channel comedy series is now filming in the L.A. area and the show films in front of a live studio audience. The show needs fans to fill up the audience and is casting fans who would love to see “I Didn’t Do It” live. Olivia Holt and Peyton list star in Disney’s comedy teen show and fans do have a chance to see it all in person. 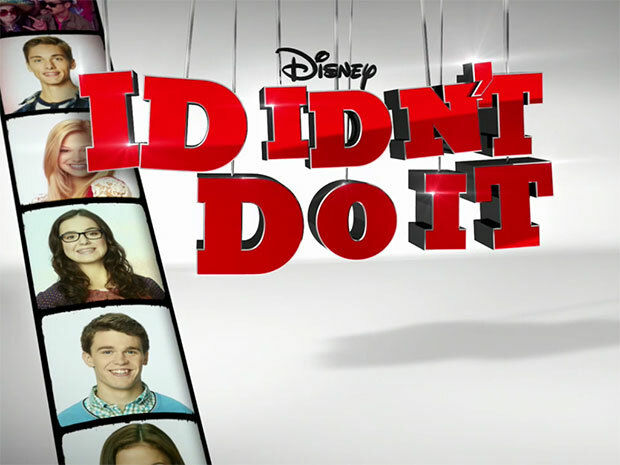 I Didn’t Do It is a Disney Channel show that just premiered 2 years back. The Disney Channel series stars stars Olivia Holt, Austin North, Piper Curda, Peyton Clark, and Sarah Gilman. 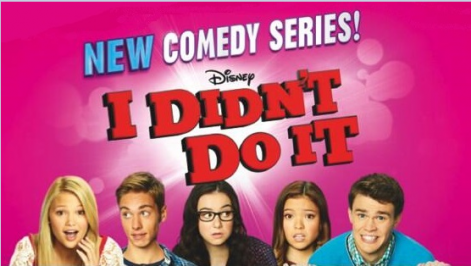 The first episode of “I Didn’t Do It” aired in June of 2013 and in the summer of last year a new season of the show was ordered by The Disney Channel which is filming now. Olivia Holt plays Lindy Watson, a kind of geeky teen girl with an athletic side. She decides that she needs a new look and her bff helps her get it. The former nerdy girl walks into high school with a new look which is fashionable. But, she has a nemesis named named Sherri, played by Peyton List. But, Lindy is still a good student with a perfect attendance record. Also starring is Austin North who plays Logan Watson. He is laid back, confident and chill and he happens to be the twin brother of our girl Lindy. Logan tries to find the easy path through everything, something his sister frowns on and lets him know all about it. Piper Curda plays Jasmine, a girl with a crush on Logan. Jasmine is smart, gets good grades and is quite the fashinista. Rounding out the cast are Garrett Spenger played by Peyton Clark and Delia Delfano, played by Sarah Gilman. The group finds disasters at every corner and their teen drama always has a funny spin to it. DITKA High School seems to be a fun place especially when the twins and their 3 best friends get involved. Disney’s “I Didn’t Do It” is casting audience members and the tickets are free. If you live in the Los Angeles area or are planning on coming down here soon, you can apply to see the show in the studio. The tickets for “I didn’t Do It” are free, but those who would like to get cast need to be able to provide their own transportation as well as probably pay for parking. The show films at Los ASngeles Center Studios and the minimum age to be a part of the studio audience is 10. For more information please see this page. The show runs a half hour on Disney Channel and is produced by It’s a Laugh Productions. Hi. My name is Katrina. I am 11 years old but I am really tall so I don’t look it. I play select soccer and volleyball. I enjoy watching the show I didn’t do it. I am good at singing and pretending to be characters. I go around the house all the time singing, it annoys my sister a lot. Thanks for reading! Fly me out and I would be soooo happy. I love Disney channel! I’ve been singing and acting for a long time and this would be a dream come true! My name is Sheila and I’m 13 years old. I really want this job! It would be an honor to get this job. Fly me out and I would be SO happy to go, and bring my daughter and little sister.